At Capresso, we love to enjoy a freshly brewed cup of hot tea. 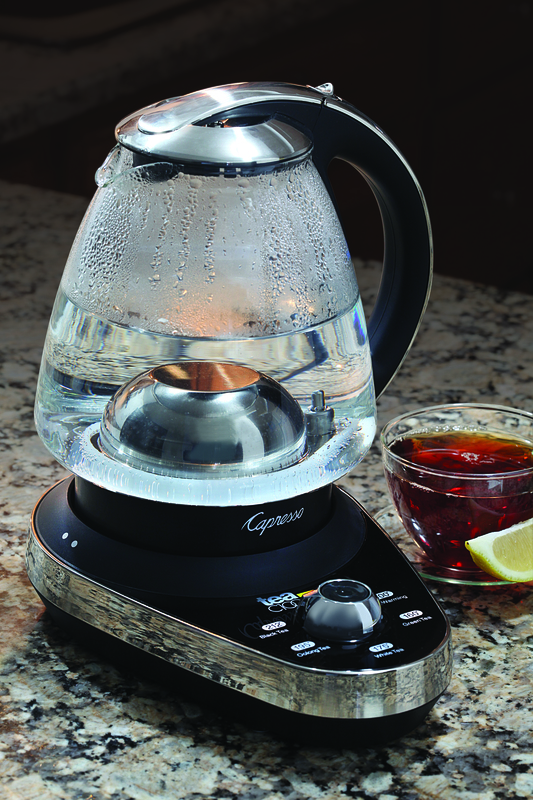 Our line of electric water kettles offer speed, energy efficiency and safety when heating water for tea, but there are many other aspects that play a role in brewing. This Guide to Steeping Tea shares tips and suggestions to help you prepare the perfect cup of tea. Adequate room for the tea leaves to expand and fully extract the best flavor. Start with fresh, cold filtered water. Never re-boil water that has been left in the kettle as the taste could be stale or flat. Store the tea away from the light in a dark, airtight container.